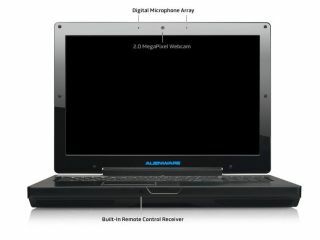 Alienware’s product marketing manager Marc Diana has called for companies to embrace 64-bit technology, and begin to optimise their drivers for new operating systems. With parent company Dell insisting that it will be pouring money into gaming PCs, Diana – talking to CNET – believes the emphasis on quad core chips and faster GPUs is distracting companies from developing drivers for 64-bit Operating systems. "If these companies--Intel, Microsoft, Nvidia, ATI, and AMD--if they'd just sit down and realize the performance benefit of optimizing their drivers and software for 64-bit," said Diana. "I think that would make sense now. We don't feel comfortable shipping a system to a customer with the 64-bit driver support that's out there in the industry." Current 32 bit systems do not allow for more than 4GBytes of RAM, something that is fast becoming a bottleneck to high-end PC gaming rigs. "Who cares about DDR3 memory? What about giving me 4GB?" adds Diana. "They're building (software) for something that is inherently very old technology. "We (need) drivers that are very healthy in the 64-bit space. I'm not saying that 64-bit drivers don't exist. I'm just saying there's not enough software development and support on that end to warrant companies like us to move to 64-bit operating systems."